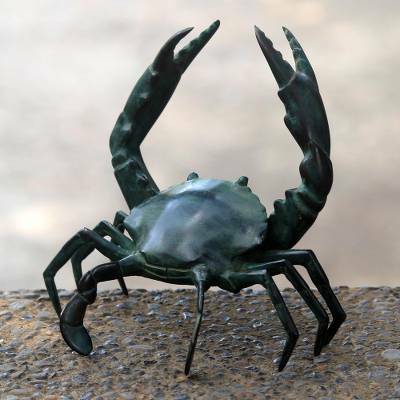 Realistic Handcrafted Antiqued Bronze Crab Sculpture, "Sanur Crab"
Scuttling purposefully along Sanur beach, a crab pauses to lift its claws in a defiant stance. Adi Noviantara works in bronze to depict the realistic crustacean, giving his sculpture an aged, antique finish. 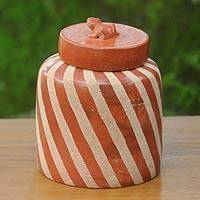 Exquisitely crafted, with a delightful attitude, this statue is a joy.